On the night of 14th October 1881, 29 men of the 33 crew were rescued from the Ganges, aground in the middle of the Goodwin Sands. In attendance were the North Deal lifeboat, the Mary Somerville, and the Ramsgate lifeboat. 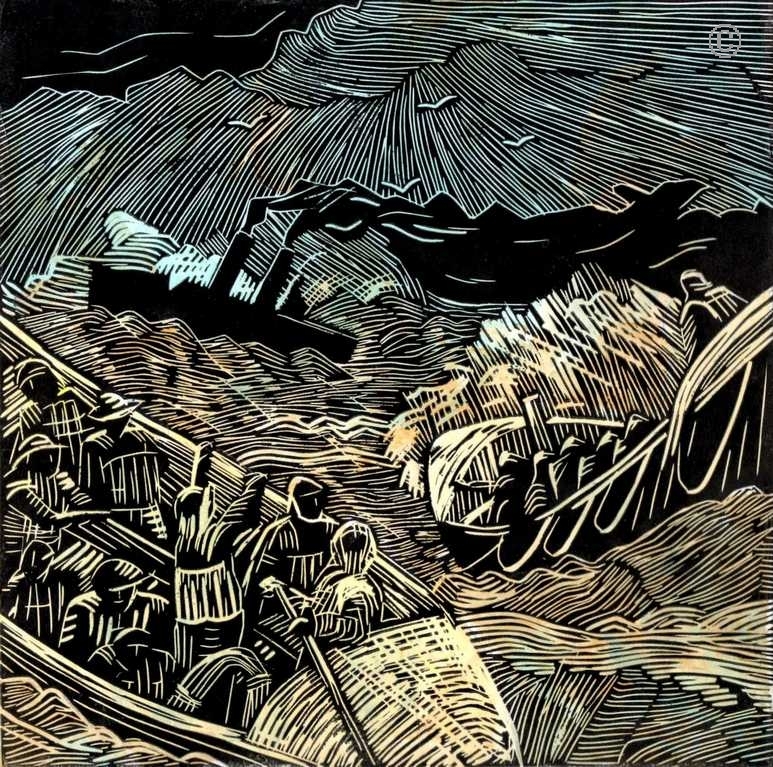 Each lifeboat was towed by a steam tug, one of which can be seen in the background of this linoprint.